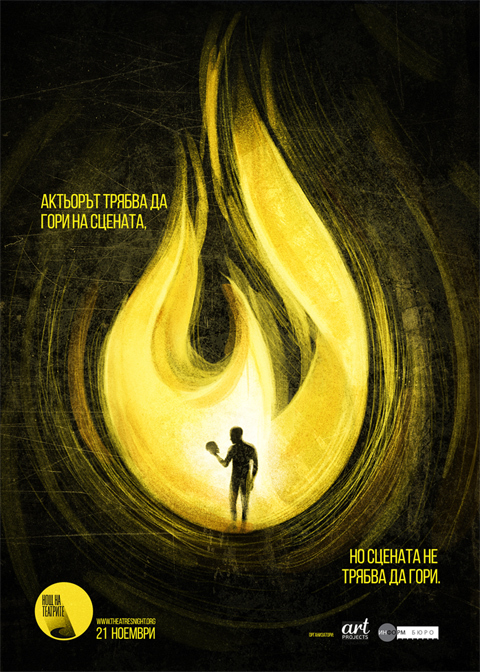 After its start in 2013, The Theaters Night has turned into one of the biggest cultural events in the country attracting year after year more Bulgarian cities and hundreds of thousands spectators and visitors. The main idea behind the 2015’s edition is fire with two important messages. One is metaphorical – the actor must burn on the stage, but the stage shoulnd’t burn. And the other message was connected with the burned theatre scene of Plovdiv.